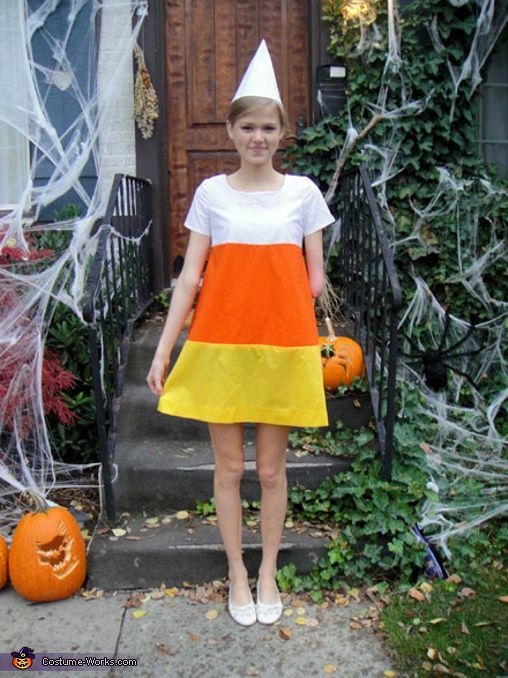 If candy corn is your favorite Halloween candy, this makes a cute costume. If you can't sew, try wearing a white hat, orange top and yellow bottoms. Hand out candy corn as an extra prop! 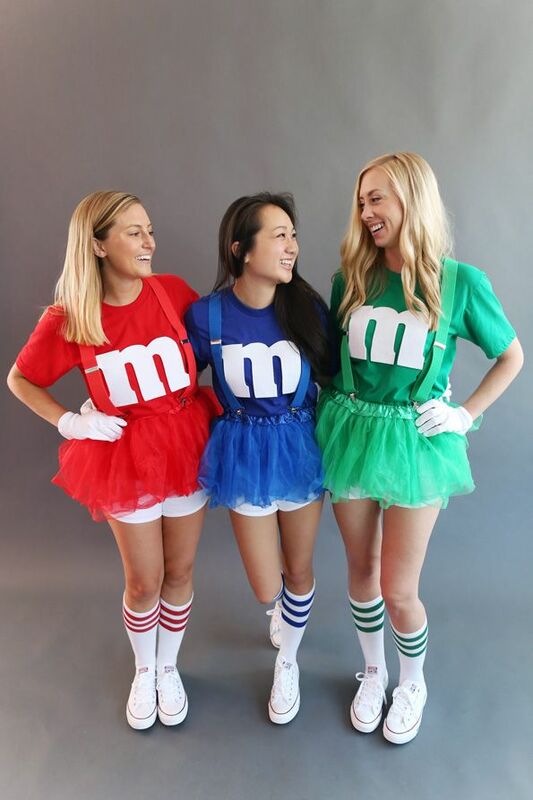 Dressing up as M&M's is super easy and makes for a cute group costume. Have each person wear a different colored shirt and tape or iron on white M's! 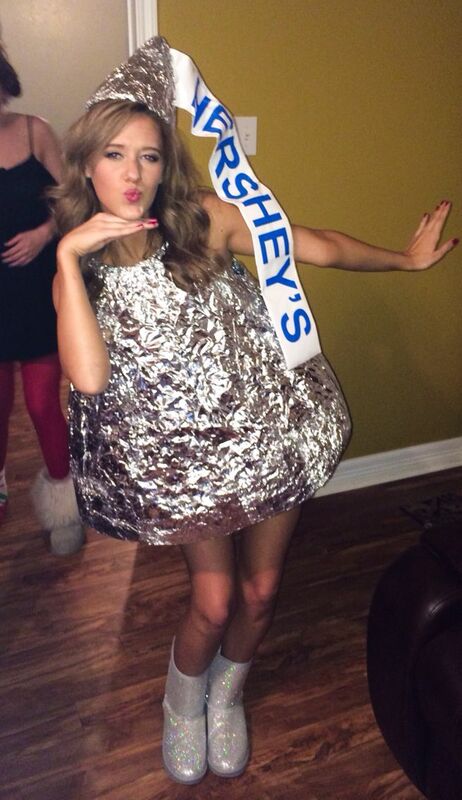 If you're a chocolate lover, dress up as a Hershey's Kiss. With a silver dress (which you can make out of duct tape or foil) and a party hat covered in tin foil, you'll be the cutest kiss around. Don't forget your "kisses" ribbon! 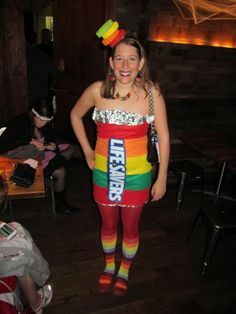 If you love these gummy candies, dress up in a rainbow outfit and print a Life Savers sign to wear. Bonus points if you craft a hat out of streamers! If Twix is your favorite candy, make this super easy costume with a gold dress and red duct tape. You'll look cute—and it's so simple!